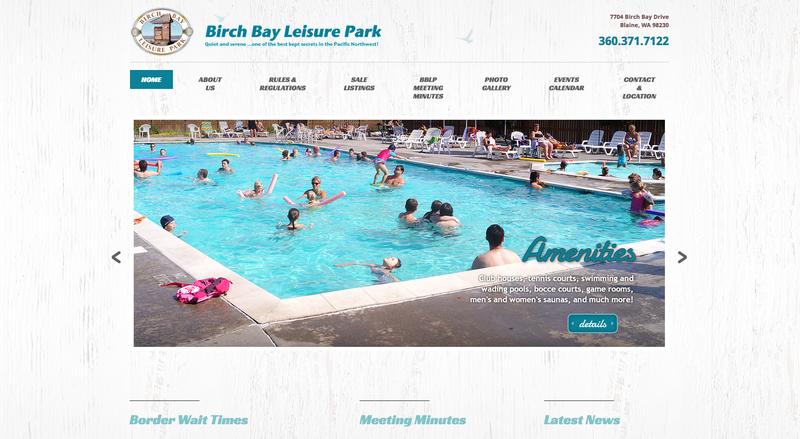 Birch Bay Leisure Park is a private and gated recreational vehicle park in Whatcom County, WA. Just a short commute to the US/Canada border. 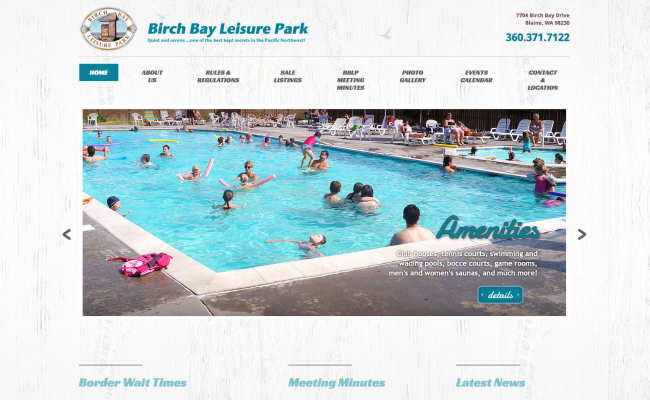 The community of 600 + vacationers needed a website to post information for members to access and members are able to post lots for sale or items for sale. "Our previous website was extremely outdated and now with the new site we can share all our events, post important news and keep certain information password protected. Michelle made it easy for our office staff to make updates on our website and was very helpful whenever we had any questions. We love the new design and would recommend her!"